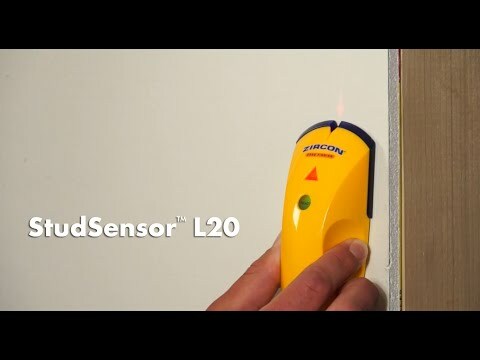 The StudSensor™ L20 stud finder features a patented pinch grip design molded to fit comfortably in the palm of your hand. The L20 has an easy-to-read display and a SpotLite® Pointer which shines a bright arrow-shaped beam on the wall to clearly identify the edge of the target. Use to find the edges of studs to securely hang pictures to the wall.